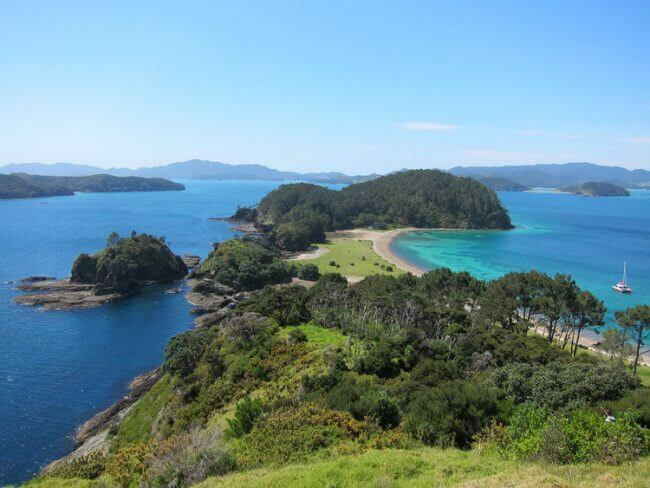 The Bay of Islands is one of New Zealand’s best-kept secrets. Just three hours’ drive or a 35-minute flight north of Auckland, this subtropical paradise boasts no fewer than 144 stunning islands. Paihia is just one of the many charming villages in Bay of Islands and is the gateway to the region’s fantastic sites for diving, but it’s also an amazing destination in itself. Here are just a few of its unique attractions. This may sound like a garbled threat from an episode of The Sopranos, but you’ll love getting up close and personal with nature’s most fascinating creatures. 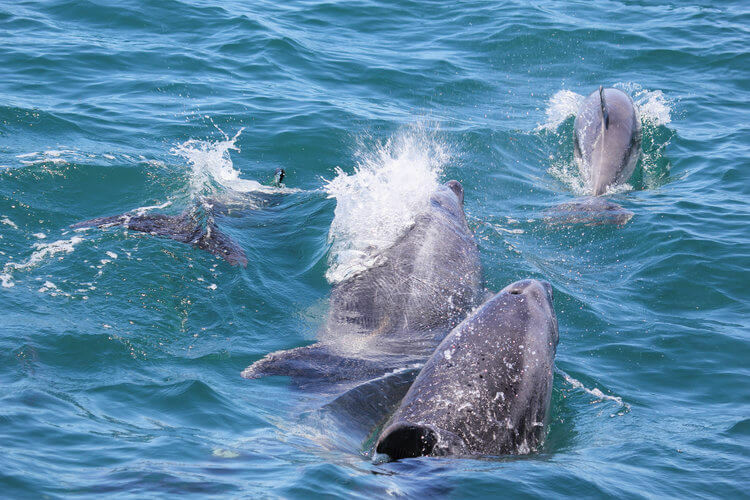 The best way to see intelligent, enigmatic, gentle dolphins is via an unforgettable cruise around the Bay of Islands. In half a day, you could get to meet bottlenose and common dolphins, baleen whales, orca, seals, penguins and exotic fish – and if the conditions are right, jump into the warm water for an unforgettable experience. A couple of miles from Paihia, Haruru Falls was New Zealand’s first river port for the Māori people, who maintained nine villages between Haruru and Waitangi. As the name suggests, the settlement was built around a beautiful waterfall, which has parking just two minutes away – there’s even a rope-swing over the river for the truly intrepid. In Māori, Haruru means “big noise” and during heavy rains the normally tranquil waterfall turns into a raging torrent. A little over a mile from Paihia, you’ll find Waitangi Mountain Bike Park, a top choice when deciding what to do in Bay of Islands. With over 30 bike trails of varying difficulty, this is a great place to practise your skills – from downhill riding to jump trails and cross-country excursions. Whichever you choose, one thing’s for sure – you’ll find the scenery as exhilarating as the ride itself. No, we’re not being facetious: the Hundertwasser Toilets is probably the most famous public loo on the planet. 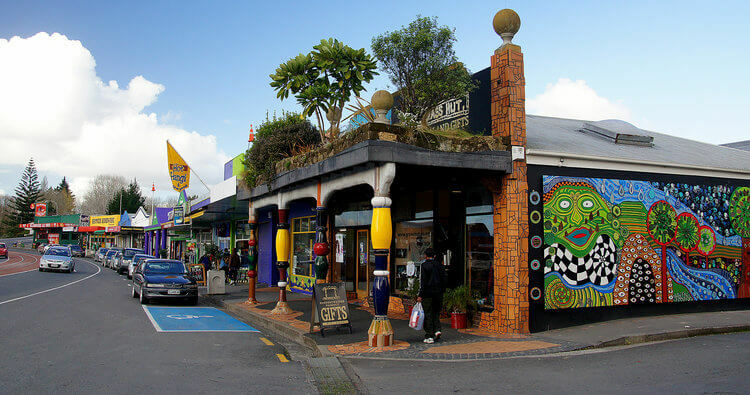 Designed by reclusive Austrian architect Friedensreich Hundertwasser, this internationally renowned structure is Kawakawa’s number one tourist attraction. Its wavy lines, eccentric ceramic tiling and abundance of small sculptures and coloured glass (not to mention a tree right through the middle) are all classic Hundertwasser, and attract visitors from across the world. The sunsets here are some of the most stunning you’ll encounter anywhere, so at the end of the day you’ll want to wind up on the beach. If you fancy something savoury, you’ll find the local fish and chips unbeatable – and if you catch your own, some of the local cafés will cook it for you. Or if you have a sweet tooth, you could enjoy a delicious ice cream from Cellini’s Gelateria and Espresso Bar, where the locals flock for a sundae or ice cream when the mercury soars. We can’t think of a better way to round off a trip to peaceful Paihia. Images by j.e.mcgowan, Bernard Spragg. NZ and Andrea Lai via Flickr.